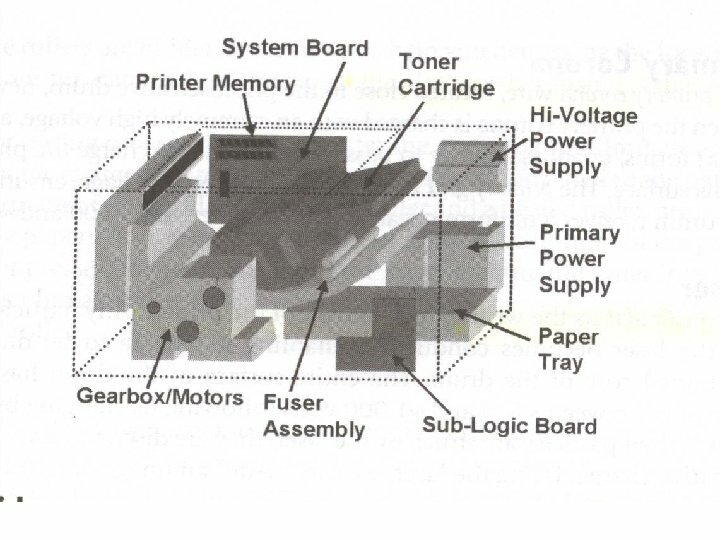 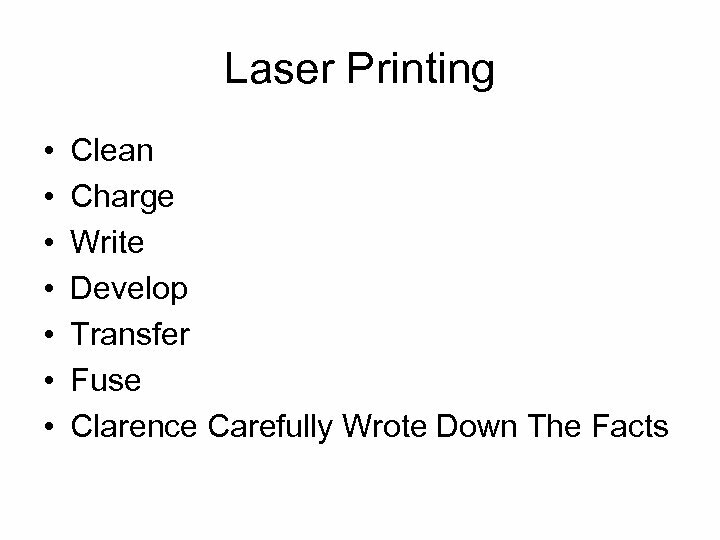 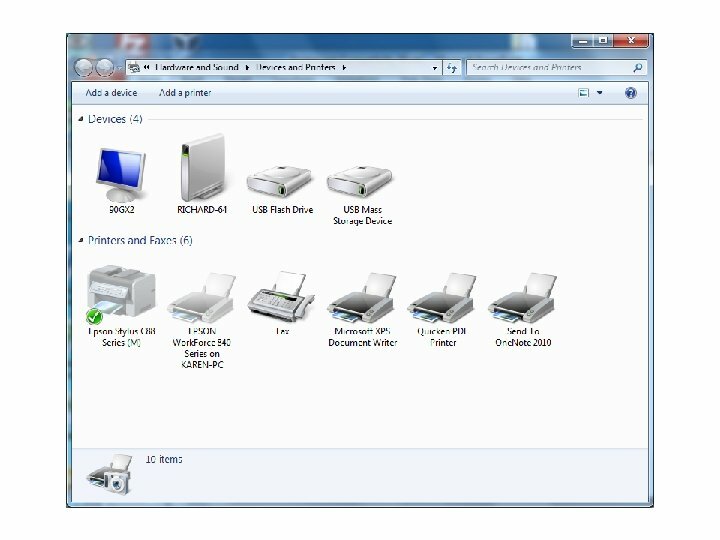 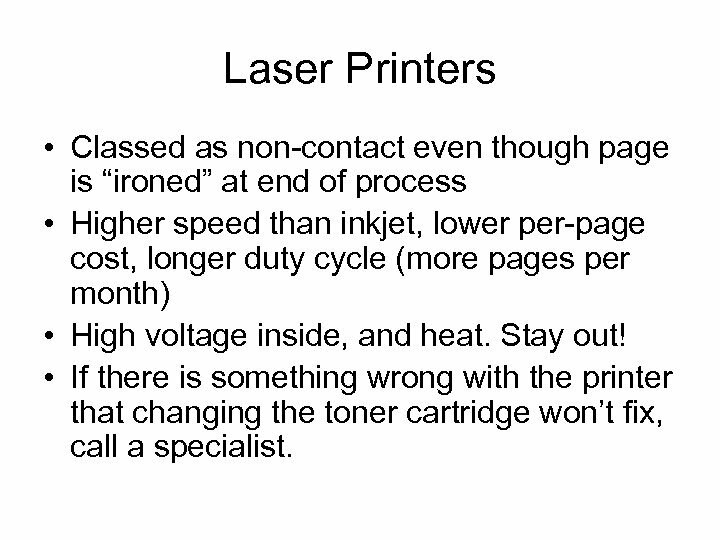 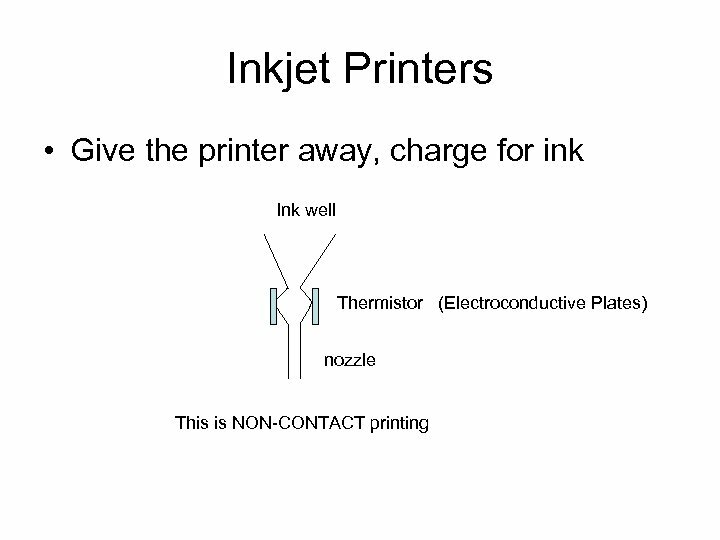 Laser Printers • Classed as non-contact even though page is “ironed” at end of process • Higher speed than inkjet, lower per-page cost, longer duty cycle (more pages per month) • High voltage inside, and heat. 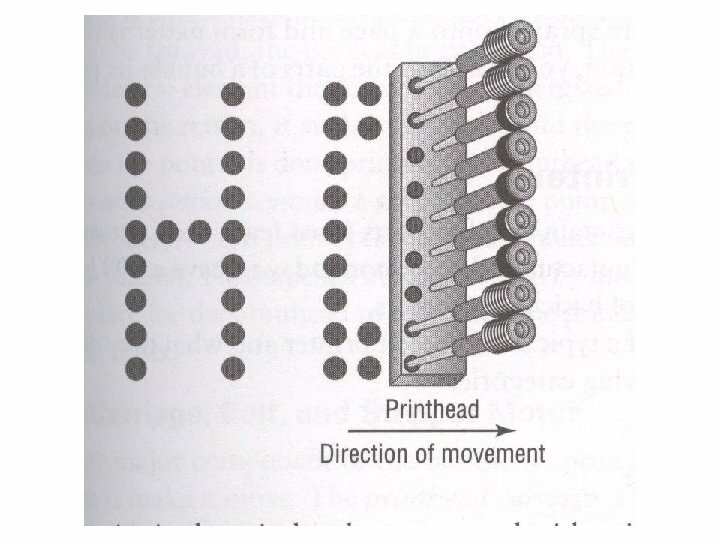 Stay out! 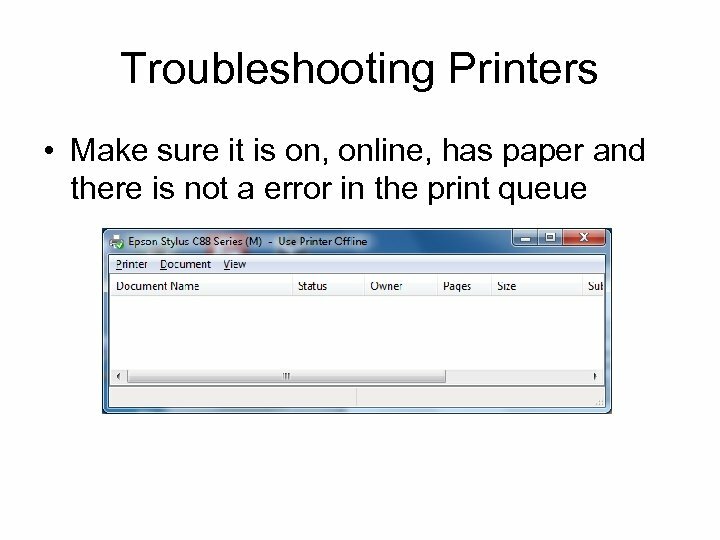 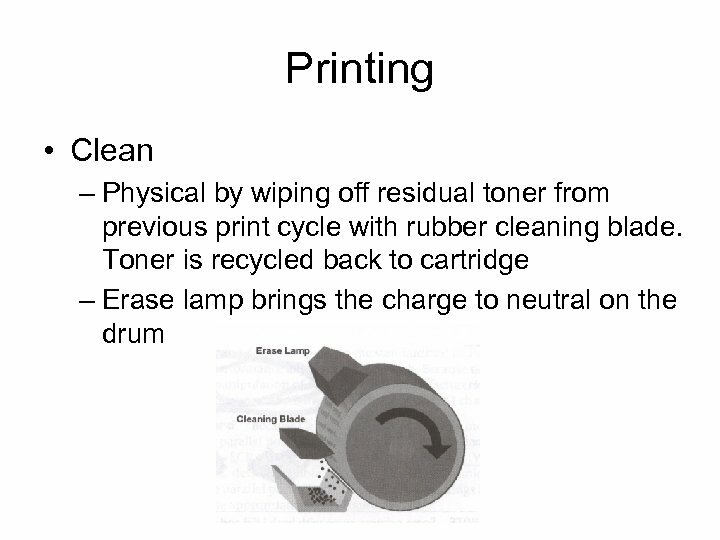 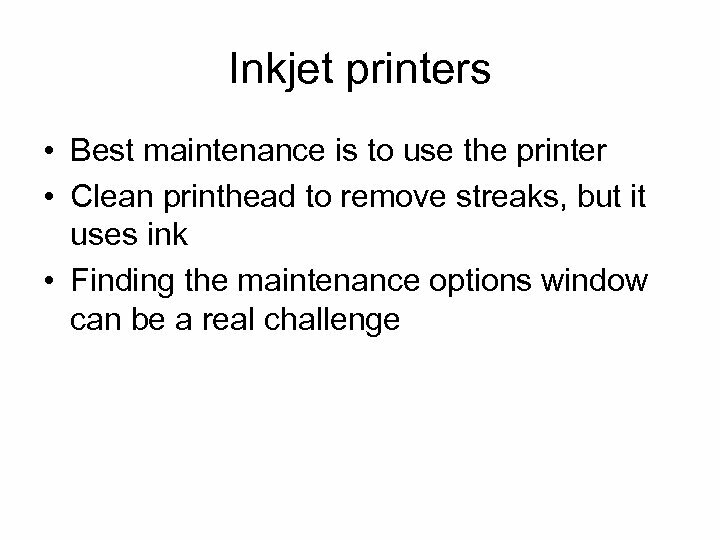 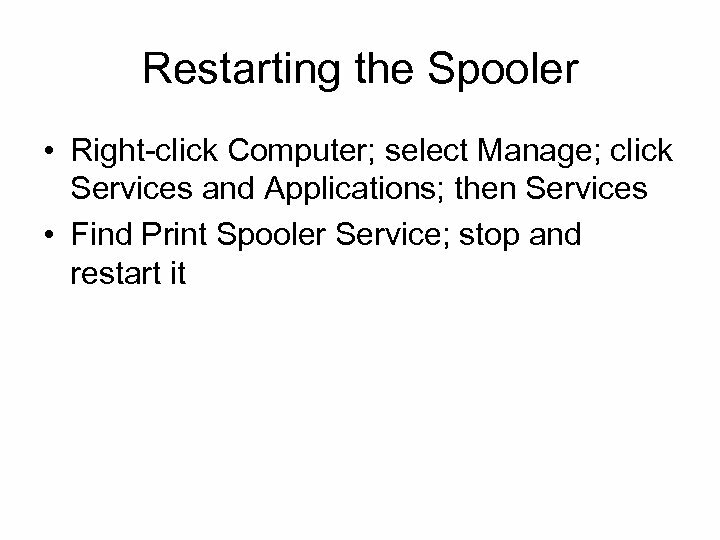 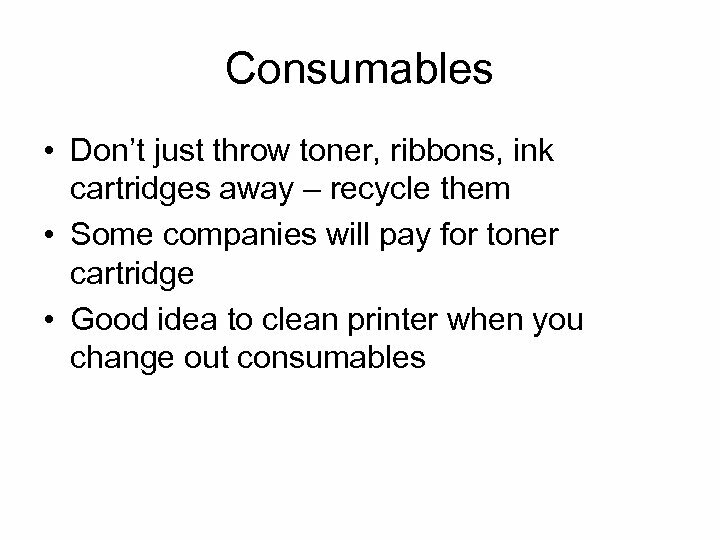 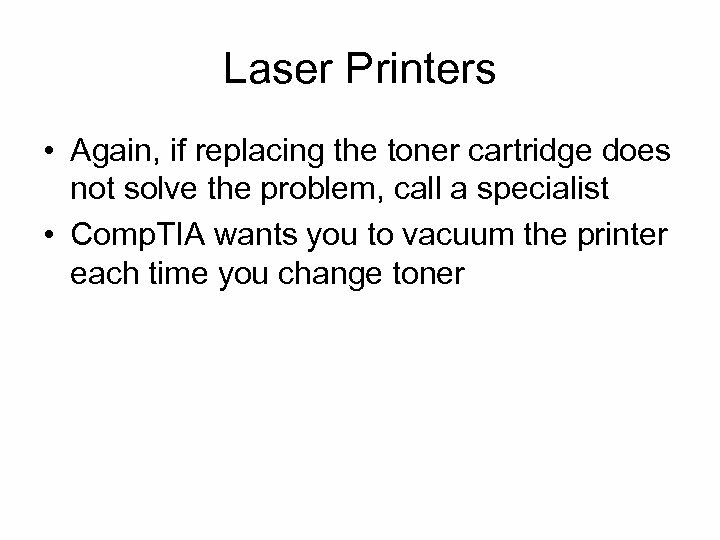 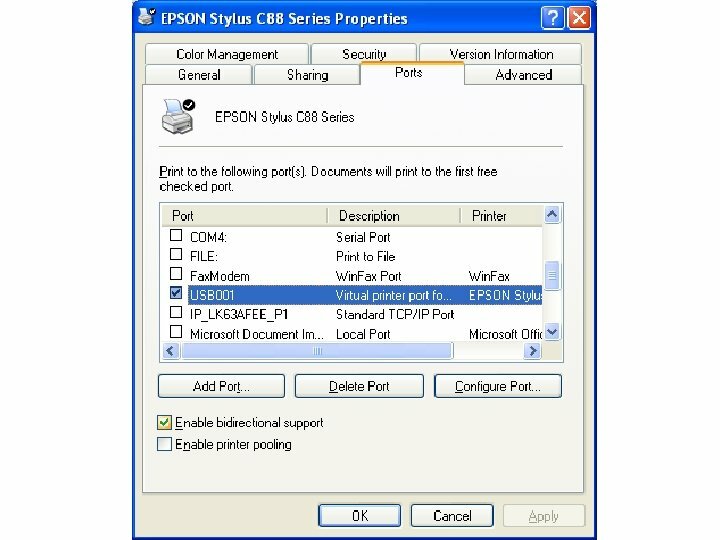 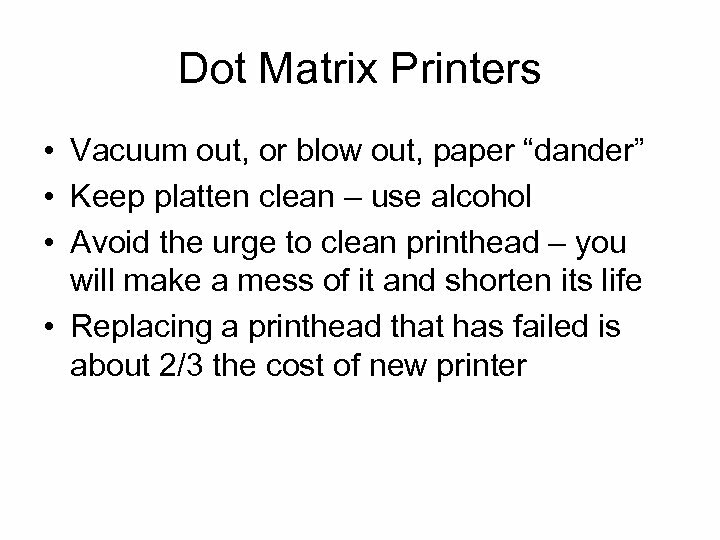 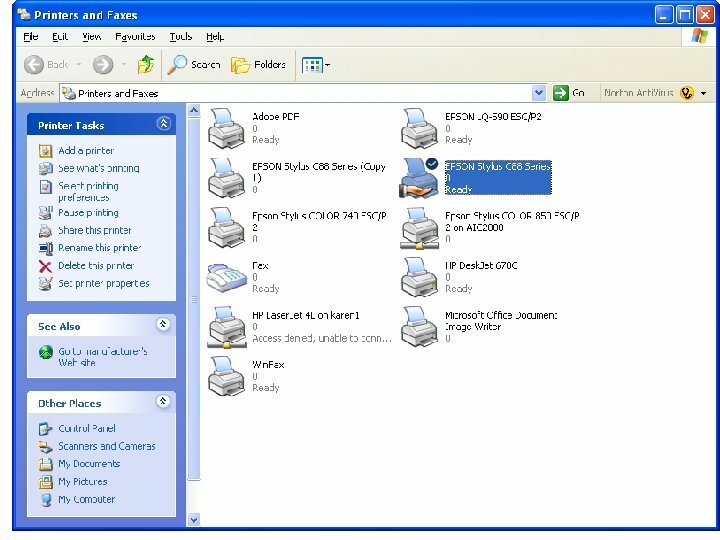 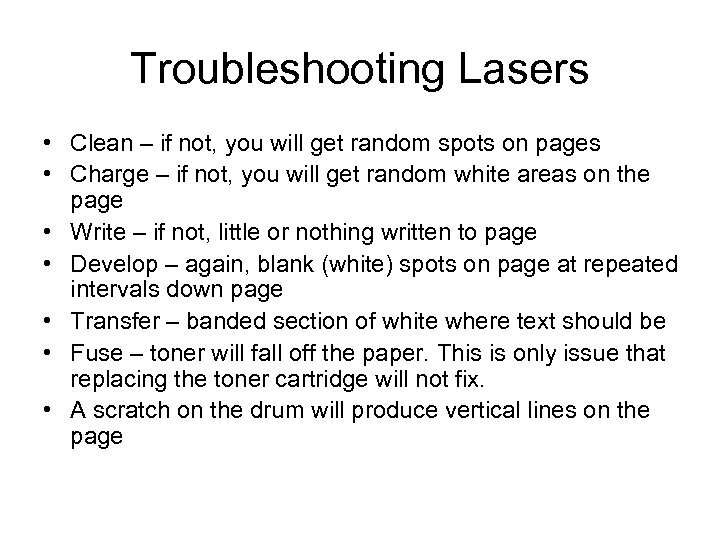 • If there is something wrong with the printer that changing the toner cartridge won’t fix, call a specialist. 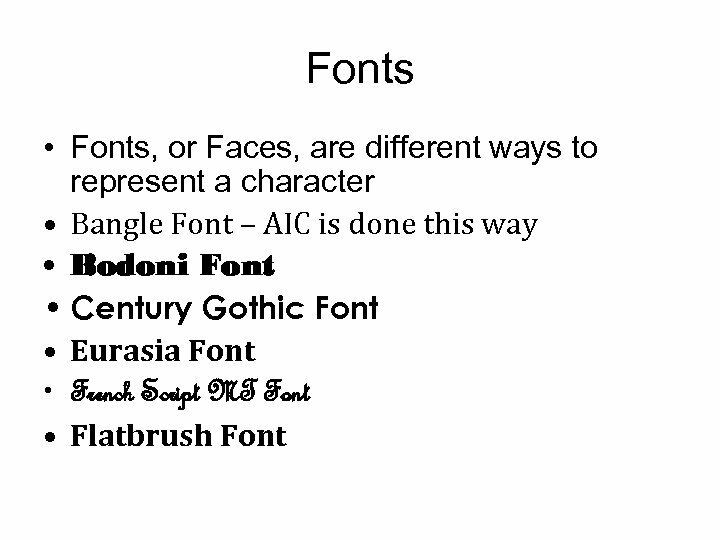 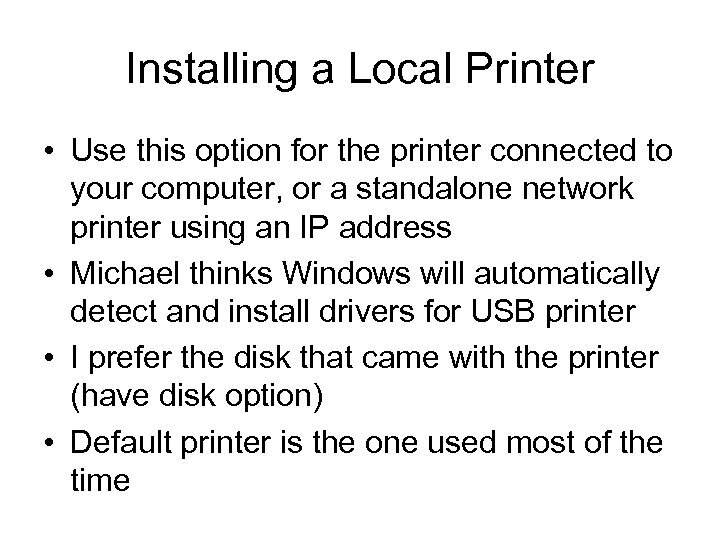 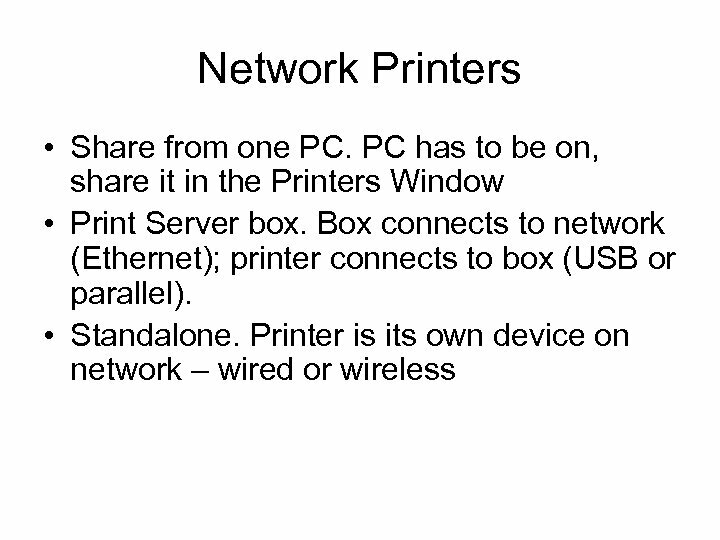 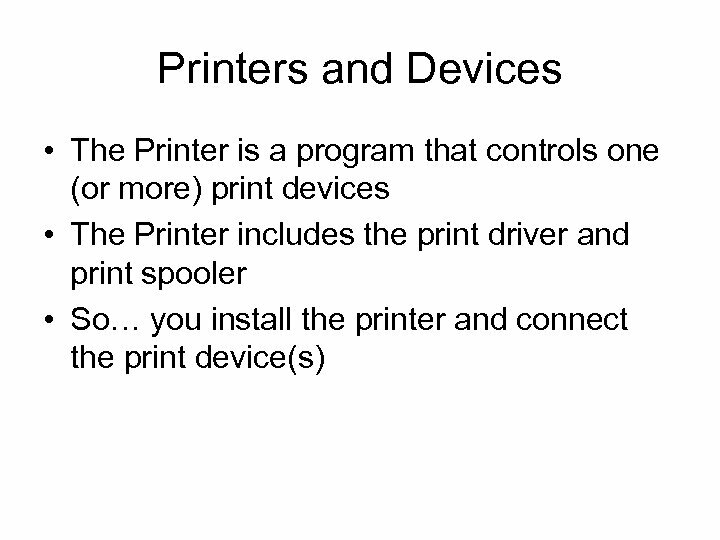 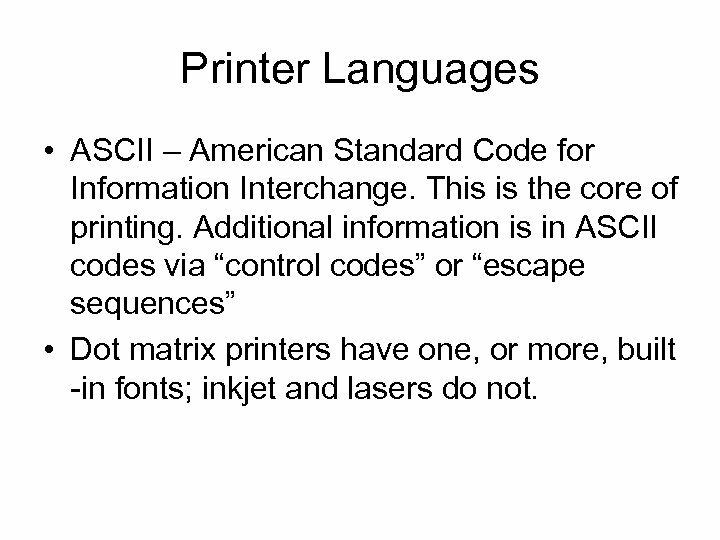 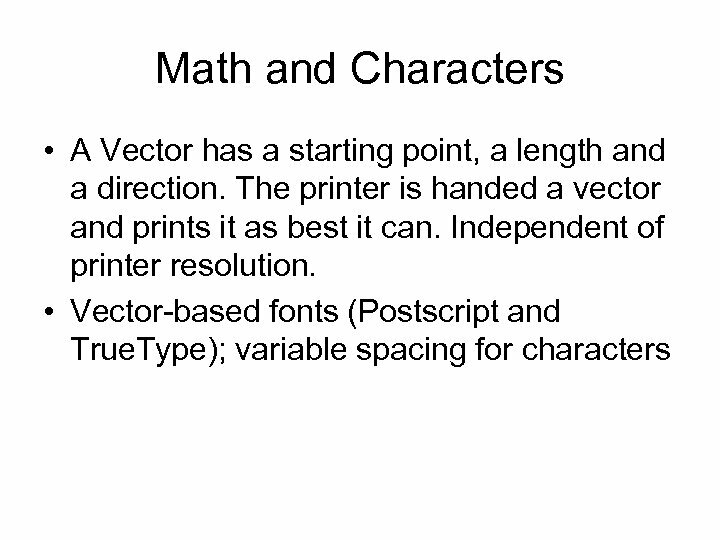 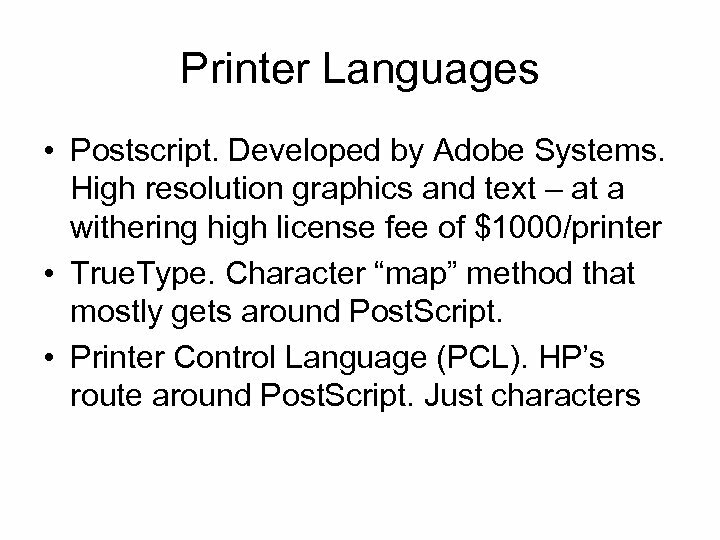 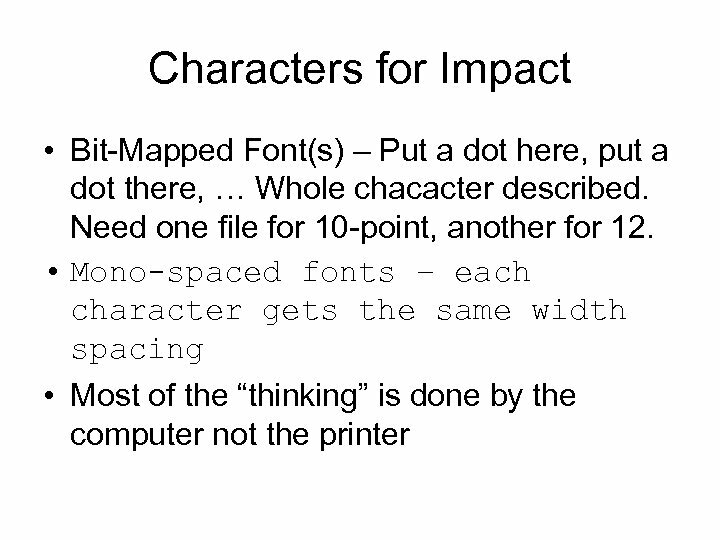 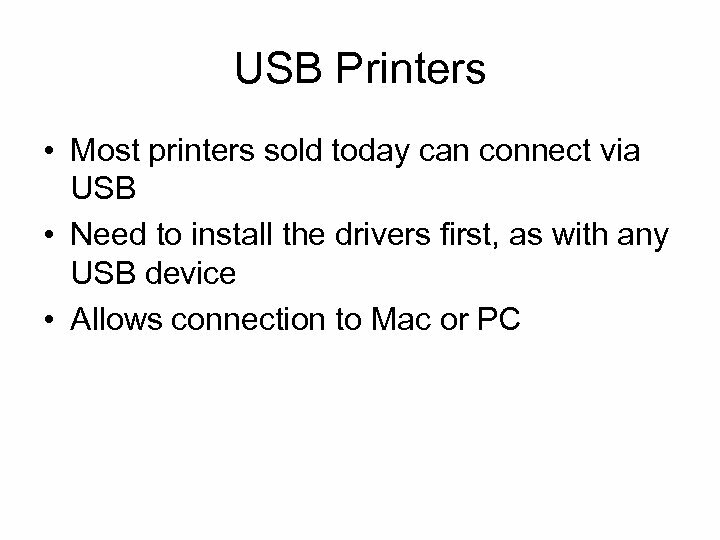 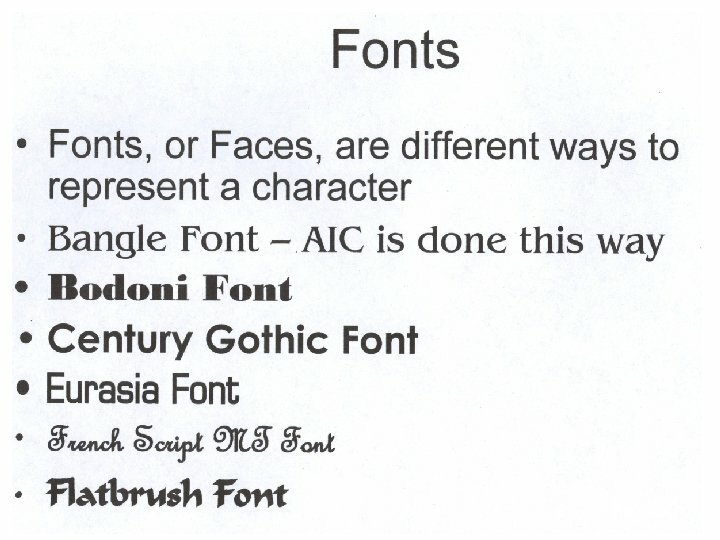 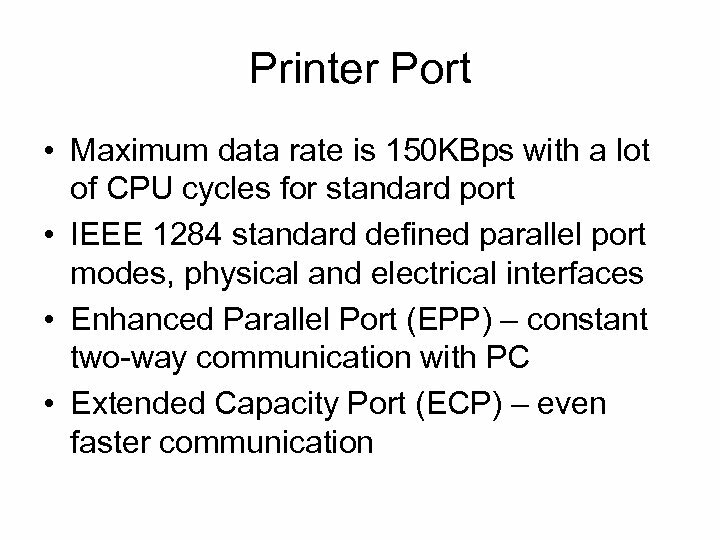 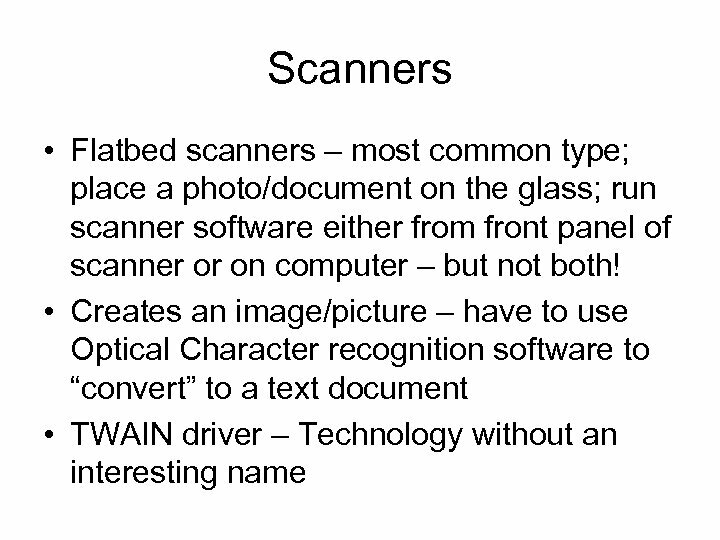 Printer Languages • ASCII – American Standard Code for Information Interchange. 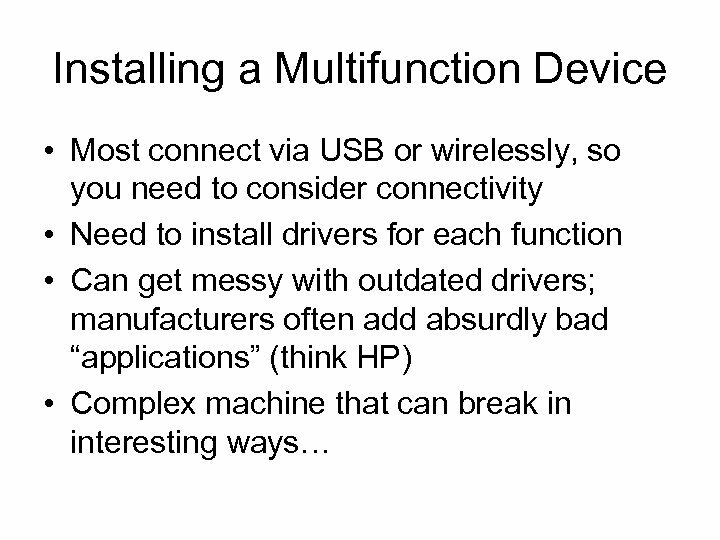 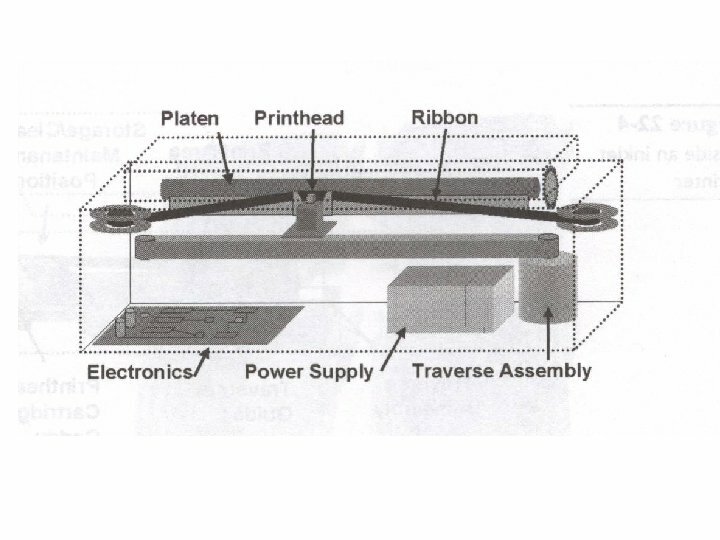 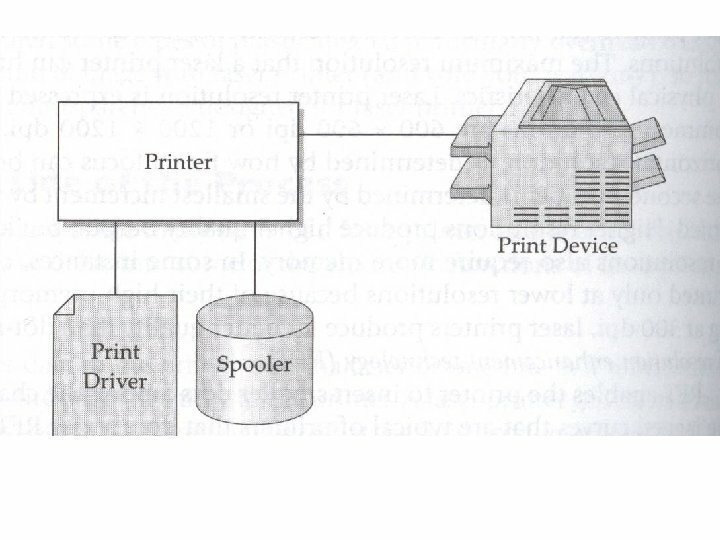 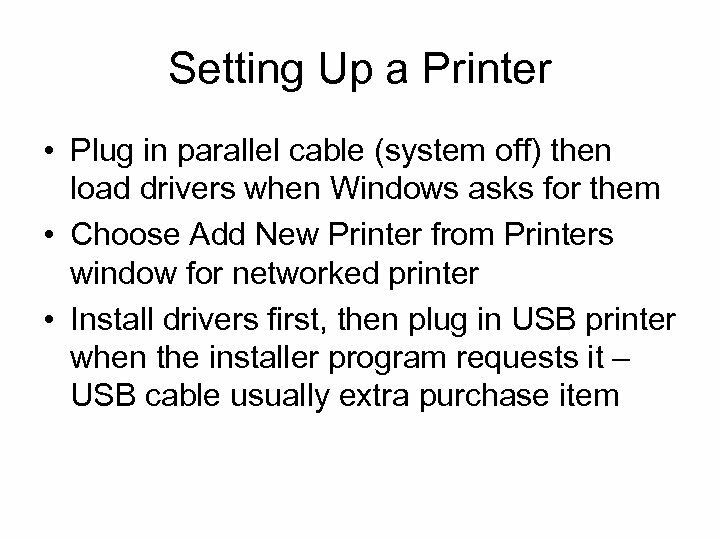 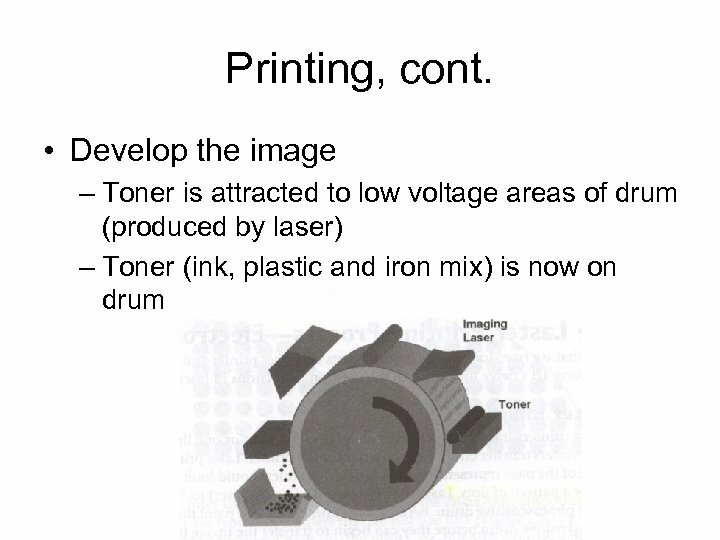 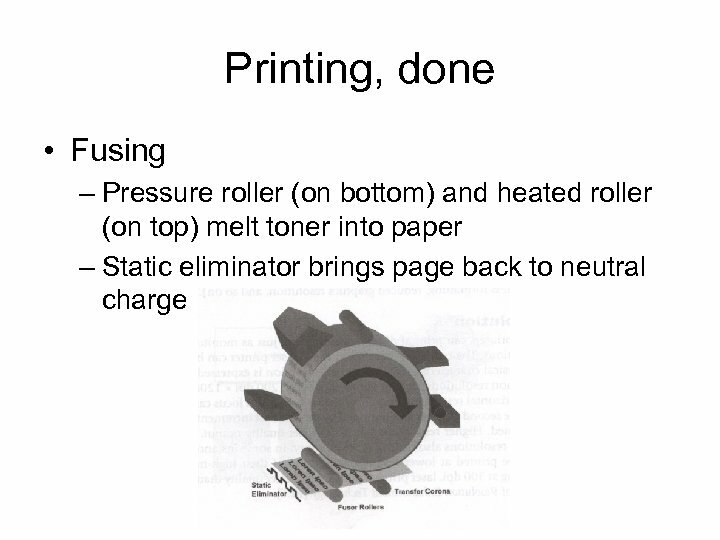 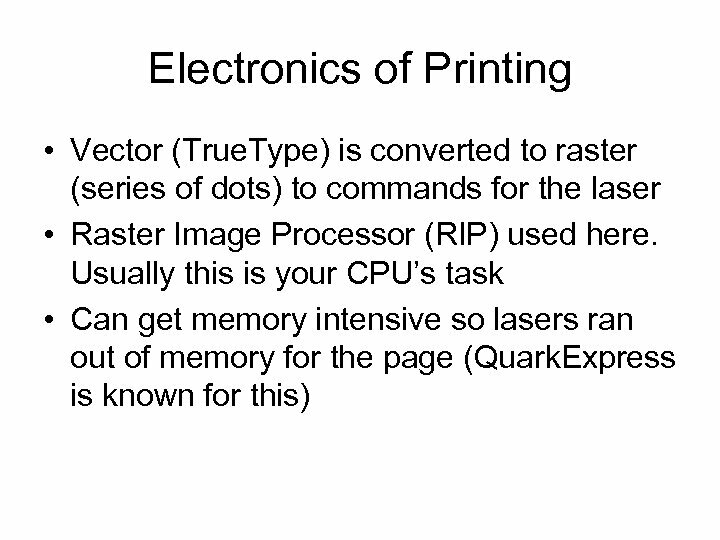 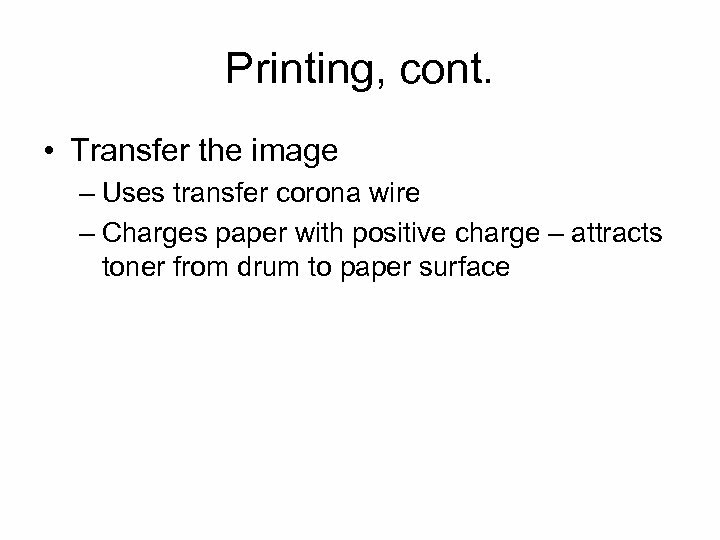 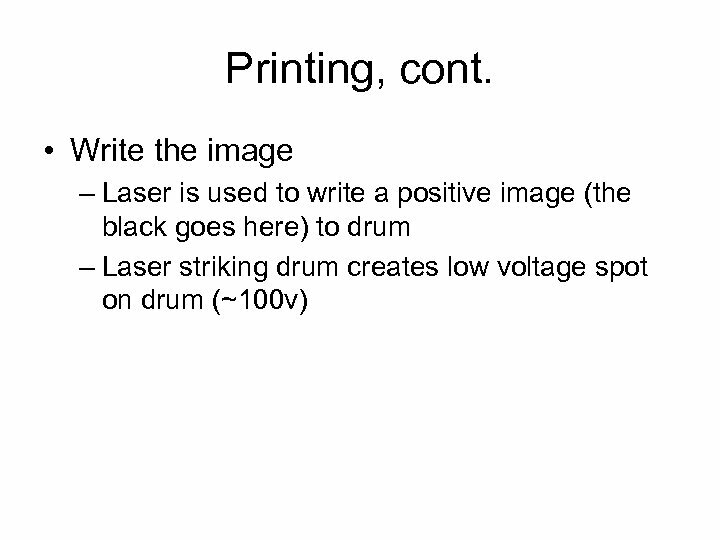 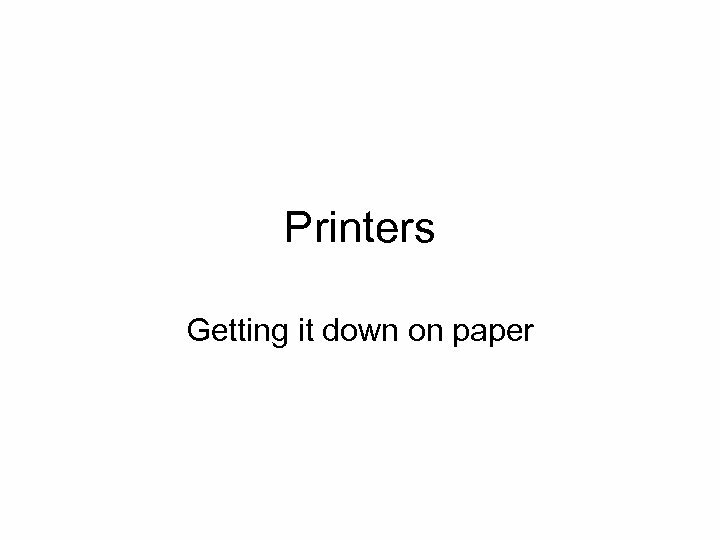 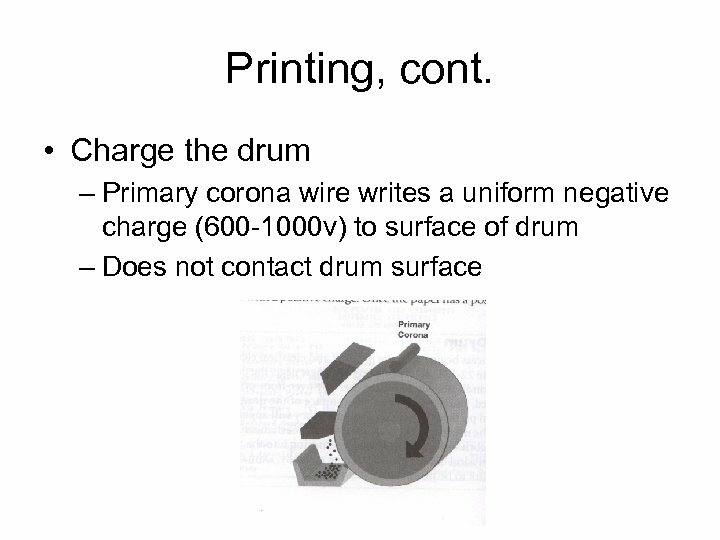 This is the core of printing. 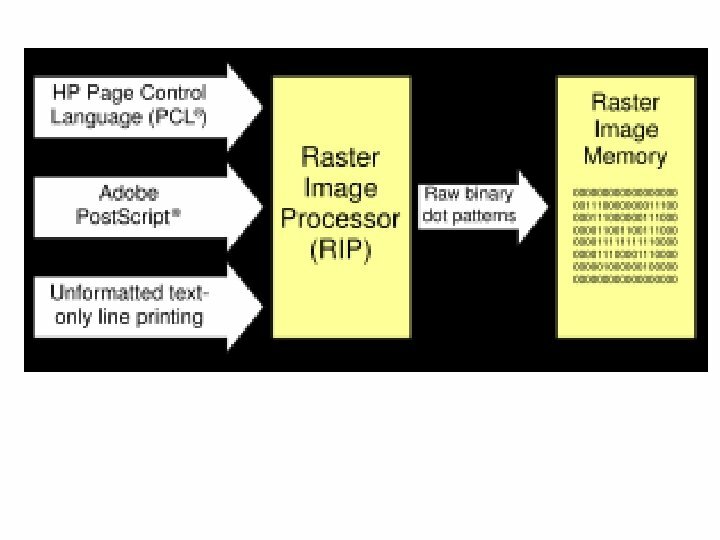 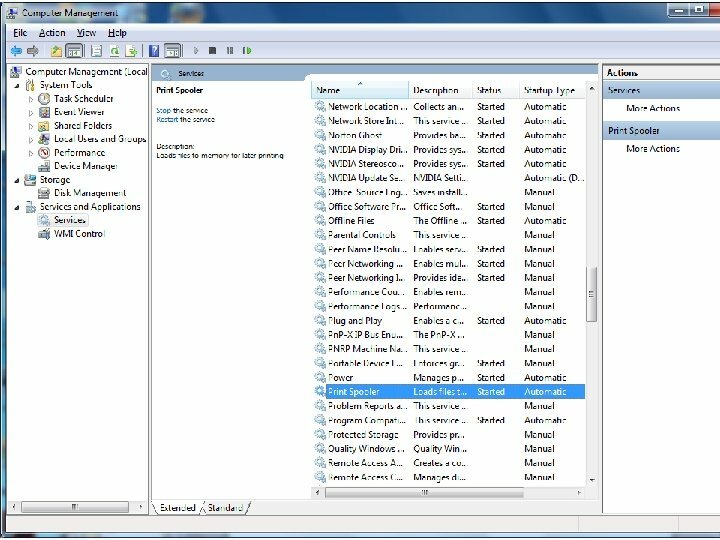 Additional information is in ASCII codes via “control codes” or “escape sequences” • Dot matrix printers have one, or more, built -in fonts; inkjet and lasers do not. 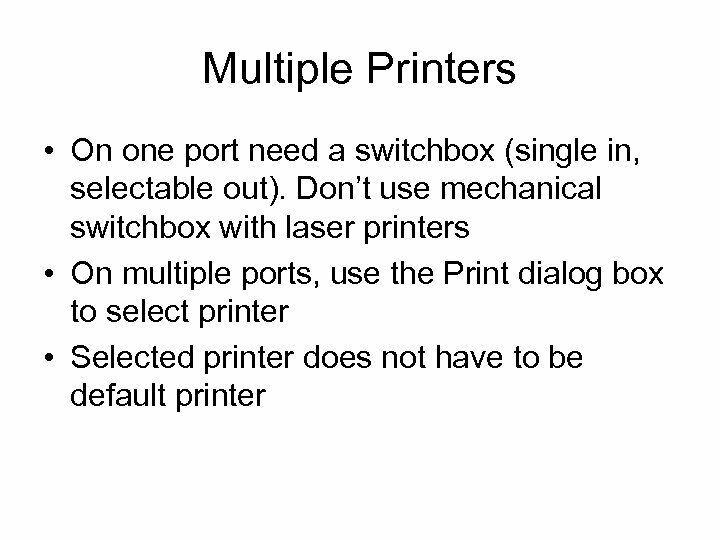 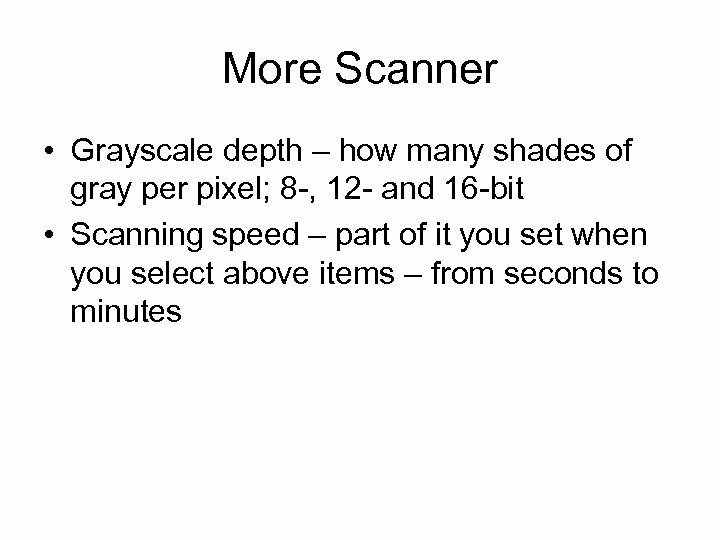 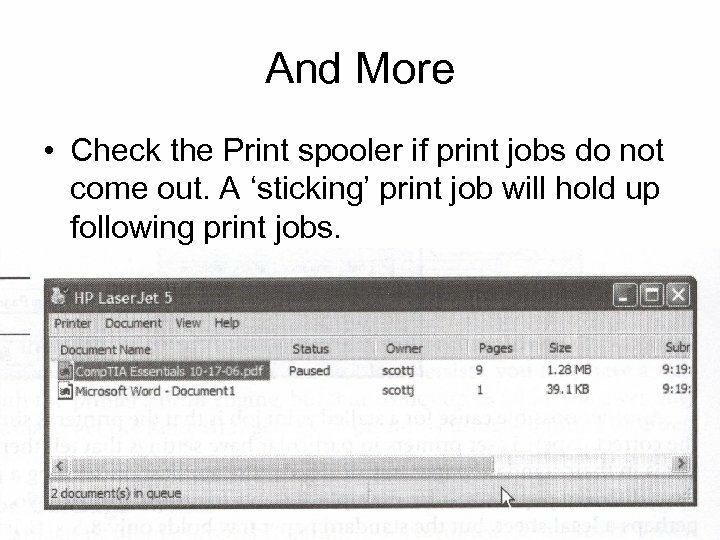 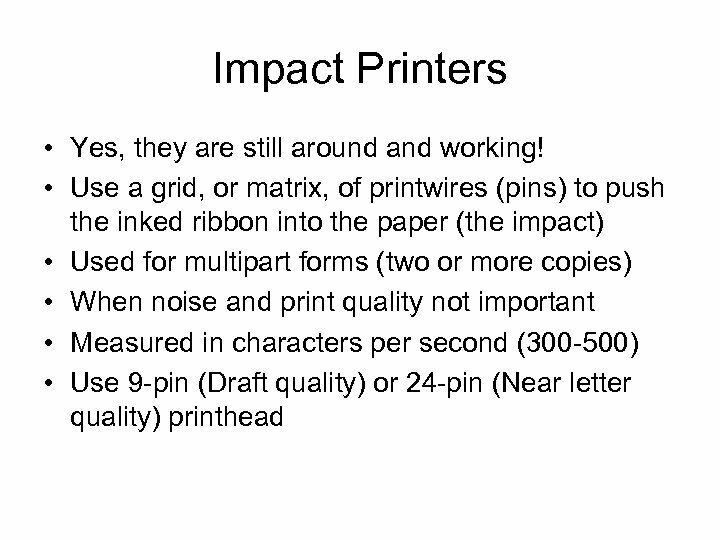 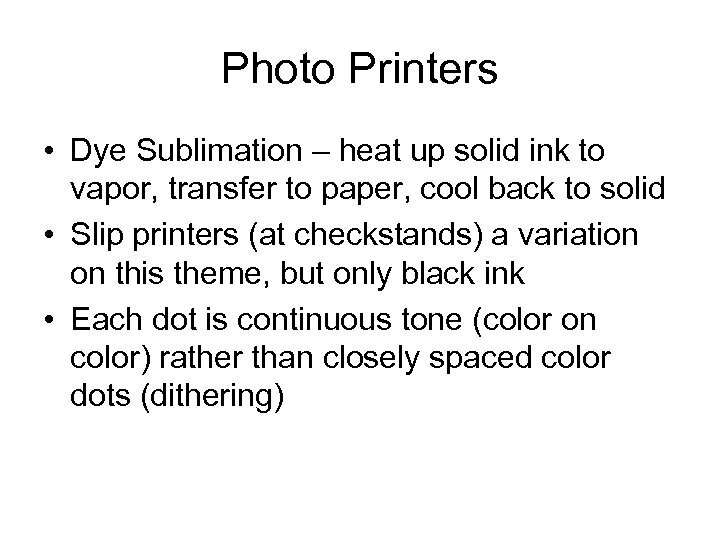 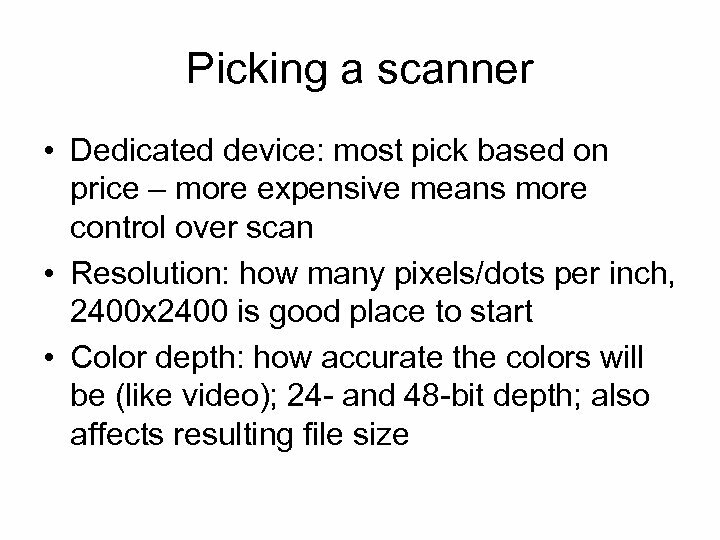 And More • Check the Print spooler if print jobs do not come out. 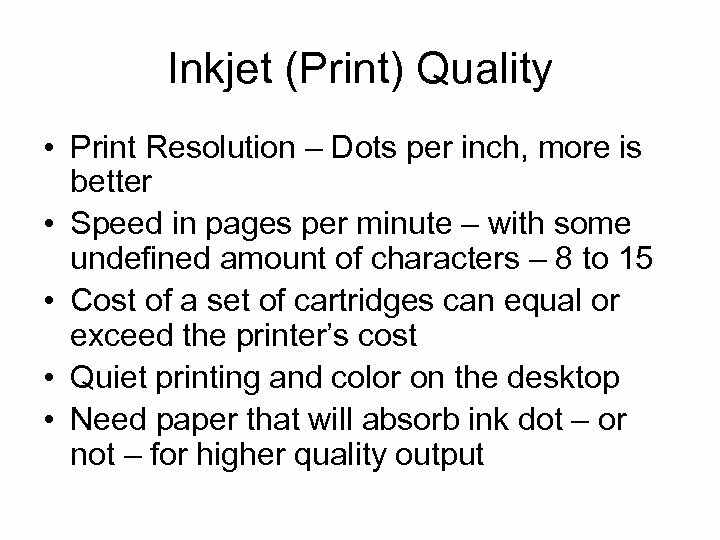 A ‘sticking’ print job will hold up following print jobs.